With the impending introduction to the all-new 2020 Volkswagen Golf Mk8, we are in for numerous teasers, spy photos and, evidently, spy videos of the thing. Volkswagen already confirmed that it will start with the production of the all-new Golf Mk8 in June next year, and this means that we will see it long before then. 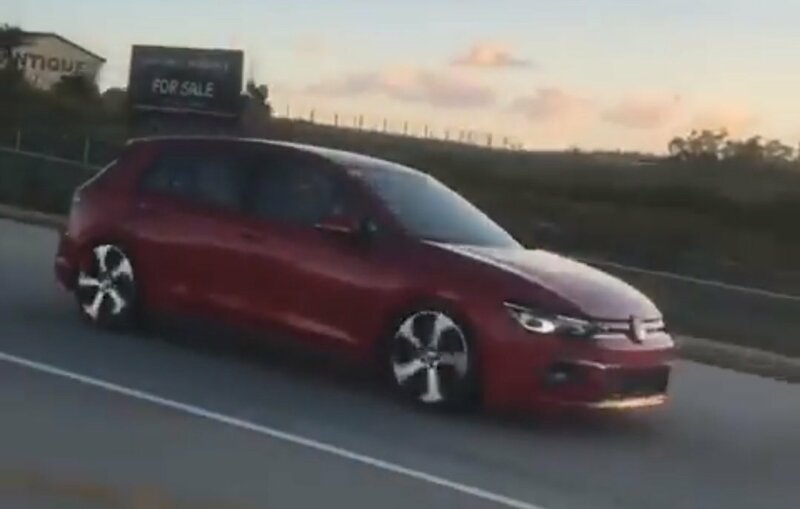 Only days ago, a Facebook user “Tuned Automotive Magazine” published a video with a title – “Is This The Golf Mk8?” In there, one can see a wonderful dark red Golf with massive GTI wheels on the highway. While no one is certain of the authenticity of the video, one thing is certain – the video stirred some blood in the car community. The 2020 Volkswagen Golf Mk8 will be unveiled for Europe next year. Heck, people there will be able to buy it in the second half of 2019. If I am to deduce about its U.S. debut, I’d have to say that the Golf will reach our shores and showrooms a year later – just as it was with the previous generation.